What is a Plex Media Server and which QNAP NAS do I need? In this age of Netflix, Prime and Now TV, having ready access to your media is paramount. Long gone is the age of VHS, the space being taken up by DVD and the cost of Blu-ray. These days we want access to our media on our TV, on our ipad and our phones anywhere in the world. A number of big names in media streaming have popped up over the years but currently the most popular and recommended means to share your media is via Plex. 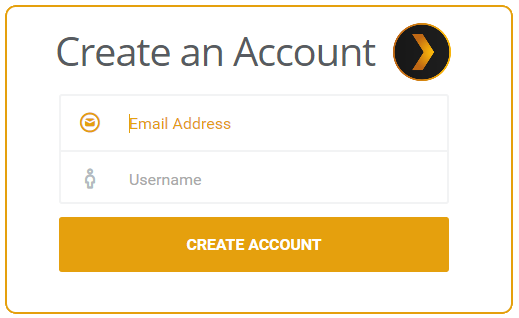 Plex gives you the ability to not only access your TV, Movies, pictures and music. But also to create custom playlists, keep track of what you have and haven’t watched, Download descriptions and thumbnails and most importantly of all, distribute your media who and whatever you choose! The first step to consider when starting your Plex MEDIA Server, is choosing where it is going to live. A popular choice for this is of course a NAS populated with NAS Hard Drives. A NAS, or network Attached Storage device, is a Hard Drive enclosure that can hold anything from 1 to 24 Hard Drives (depending on the unit you choose) and lets you access the contents of the device anywhere in the world. With this there are the security and permissions that you would expect in this highly data sensitive age and it makes housing your Plex Media Server on a QNAP NAS an excellent idea. But which one? QNAP are one of the leading and most popular NAS providers worldwide and their range featuring small 1-Bay NAS devices that can support low level Plex support all the way up to giant Xeon CPU and multibuy solutions that run Plex Media Servers for groups of users at any one time. The main factor to remember when it comes to buying your first QNAP Plex Media Server is about transcoding. If all you want to do is access your media at home on your local network, you will mostly be ok with simple DLNA (Digital Living Network Alliance) connectivity. However most users find DLNA media streaming very limited and with little or no external access to your media without extra plug-ins or 3rd party apps, you will find that a Plex Media Server on your NAS will provide excellent access to your data both inside and outside the home. That said, there are many, many different file types out there and some devices will not play the formats of others (such as .mkv .mp4a or .MTS) and in order for the destination device to play the file, it will need to be re-encoded (or Transcoded) into a format that the device can play (such as .avi .wmv or .mp3). The NAS will perform this task within the Plex Application, but this can require mid to high end hardware once you wish to transcode 720p and 1080p. So when thinking about the right QNAP NAS for your QNAP Plex Media Server NAS, make sure you select one with the right hardware to play the level of media you want.